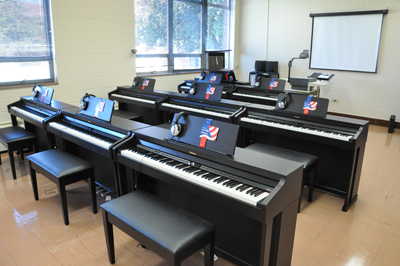 When it comes to labs for schools and colleges, a Roland Piano Lab is a leading choice. Their Supernatural piano engine provides the most life like piano experience for the student. 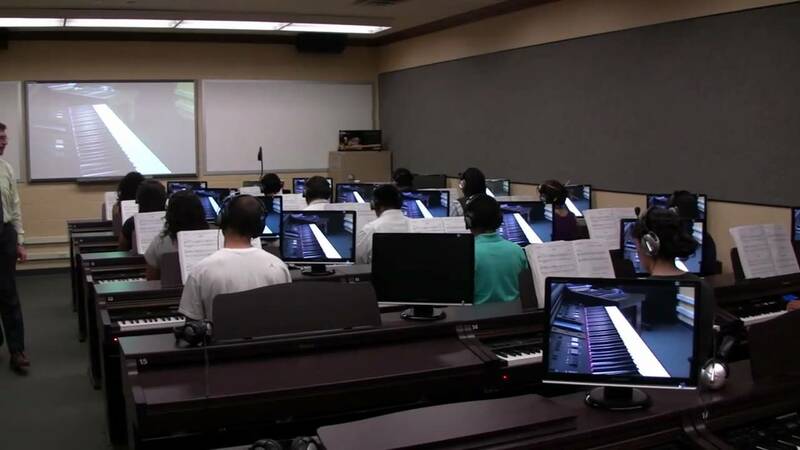 This is why we recommend them for any school or colleges setting up a piano lab. 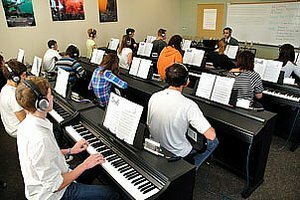 Whether you have a Basic Piano Lab with eight student stations and one teacher station or go with an expanded Piano Lab with sixteen or more student stations and one teacher station, we can design and instal it for you. With the considerable depth to Roland’s line we can design and install a setup to fit your needs perfectly. Even if you have a limited budget you can be confident with Roland because only Roland uses the exclusive Supernatural chip set inside and equips every digital piano they sell with grand piano escapement actions where most others are based on vertical piano actions that do not have escapement. Major reasons that schools and colleges trust us for this important investment. conferencing systems that will fit your needs perfectly. We come and install, set it up and teach you how to use it. It’s a no hassle program. Our Experience – Having the right equipment is important, but the staff at Hollywood Piano offers trained and highly skilled experts to help you design the system, to setting it up and keeping it running. Free Lifetime Support – we are there to assit you with your lab long after it is purchased for advice, instruction and warranty support forever. Our Commitment – We have a commitment to providing the best customer service possible. We routinely go the extra mile for our clients to ensure they have the very best lab for their needs with the highest level of service. As mentioned, we have a lot of different equipment available. For example, the Roland GLC-1C Lab Conferencing System can handle up to 48 piano stations plus one more for the teacher. If you don’t need that extensive of a system, we have solutions for you as well. As for the student stations, you can choose the Roland HPi-50e Interactive Digital Piano, the Roland HP-504 or the new HP603 with a 10 year parts and labor warranty or one of the many other Roland pianos we have available. 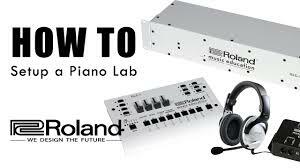 How to Install a Roland Piano Lab? The best way to install a Roland Piano Lab is to let Hollywood Piano us do it from start to finish. We want to have long lasting relationships with our customers. Contact us today to learn more. How soon do you wish to acquire a lab?